MAGUS (Pty) Ltd and our partner Computer Simulation Technology AG (CST) recently announced the release of Antenna Magus version 5.0, an advanced tool that helps engineers deliver antenna design projects faster and more effectively. 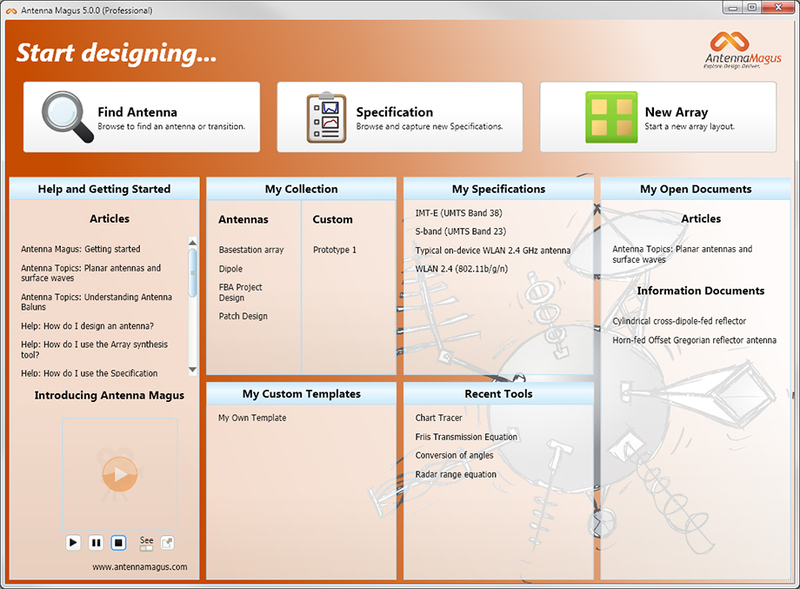 The major new release extends the antenna database to a total of 250, incorporates a number of improvements and also introduces new features such as Smart Design, value extraction in the Chart Tracer Tool, and a Specification Library. Antenna Magus Version 5.0 is immediately available. For more information, please visit https://www.cst.com/antennamagus or contact us at cst@veryfields.net.